Breakfast is included with every stay in The Lincoln House Hotel and we invite you to choose whatever suits your fancy from the following items, available every day. Laver is red-coloured, edible seaweed that grows on the Welsh coast. When boiled and chopped it becomes laverbread mixed with oatmeal to make Laverbread Cakes, served on a wholemeal crouton served with grilled bacon or with our full Welsh Breakfast. Served plain, or with any of the above items. Also available with cheddar cheese. 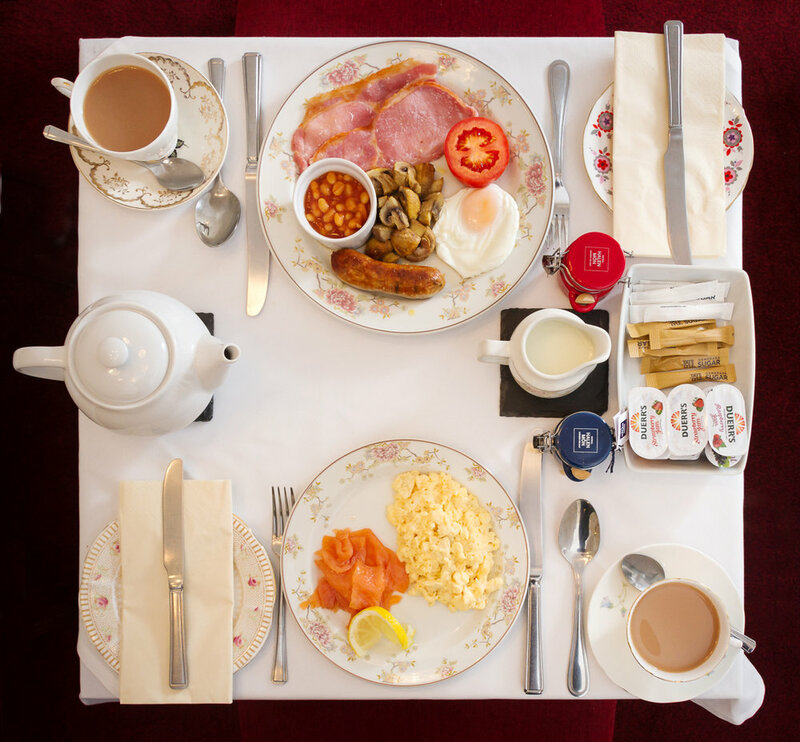 All breakfasts are served with freshly brewed tea or coffee, as well as wholemeal or white toast.